Creating and Uploading a GitHub Project From GUI is possible with zero usage of your most feared black screen command line interface. Here is how to create such GitHub Project From GUI. Not only text guide, we have video guide for this article too. We have some pending requests for creating video guides and we think this guide for Creating and Uploading a GitHub Project From GUI will be helpful to many new software developers. We actually wrote another guide for creating and uploading GitHub Project or any Git in our previous guide but that was from Command Line Interface. You need a Free GitHub account, install the software, add the SSH key. We have omitted these steps as these are a bit distracting from the current topic. However you will find and help on help.github.com. We have used Mac, to be honest I have never tried from Windows, at least recently. It is expected that on Windows the method will be almost the same plus the the usual hiccups of Windows for anything related to UNIX. You can use any Linux like Ubuntu, its frankly the time to get rid of Windows or any Microsoft products as frankly Linux is more advanced, more secure, performs faster with same amount of RAM. It is not possible for all to buy a Mac, but Linux are mostly free – both by price and from virus, malwares. Switching to Linux from Windows is an upgrade. You will learn the things which are of huge demand now very fast. First create an empty repository on Github. You can edit the name, edit the read me file here with markdown syntax. Use an example compressed file of a project you want to upload. First uncompressed it. 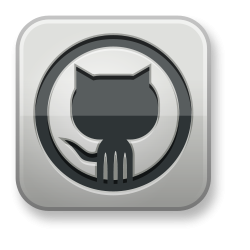 First we need to refresh the content to grab the changes in real GitHub within this software. The default location of the repository will be inside the user named folder. Or in Finder, graphically in this way. Simply open the folder on your computer and drag and drop the content you want to upload. Watch the Video for proper understanding. Cite this article as: Abhishek Ghosh, "Creating and Uploading a GitHub Project From GUI," in The Customize Windows, February 11, 2013, April 23, 2019, https://thecustomizewindows.com/2013/02/creating-and-uploading-a-github-project-from-gui/.